How to Fix SSL Connection Error in Google Chrome Browser – Causes and Solutions: It is about a week ago that one of my friend was suffering from the SSL Connection Error in his Google Chrome browser. He just could not open his Gmail account or Facebook account due to this error. Finally, trying all the tweaks and stuff… he came to me with it. Although, I had an idea of this error from earlier but I had never any idea of how to fix it. At first, I was like what the f**k is this, How is that possible? A person can perform all activities on internet without any problem but cannot open some websites and that too the most used ones. I was totally confused and could not come out with a fix. So, I googled it but unfortunately there was no clear help. Hence, I decided to do some research on Google Chrome SSL connection error and write a blog on this topic. I learnt the root of this problem and finally come out with some successful solutions. If you are also facing the same SSL connection error in your browser then you have come at the right place. 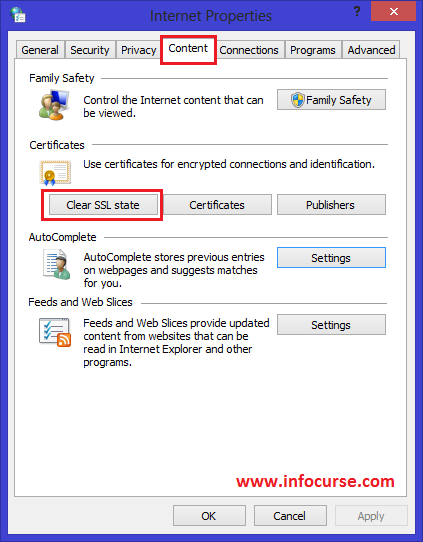 Here, I have explained about SSL, causes and detailed procedure to fix SSL Connection error in your Google Chrome Browser. SSL means Secure Socket Layers. SSL is an internet protocol that ensures privacy protection in many websites. It is used for safe data transmission in case of password login or confidential account information. Hence, the Google chrome browser has in-built default certificate list of various SSLs. As default, the settings in Google chrome is selected as medium, nor too strict neither too open. If there is some mismatch withing this list of SSL certificates, the SSL connection error arises. If there is a problem in CMS battery i.e. if there is a mismatch date and time in your system. If SSL certificate is untrusted. If the SSL certificate is not issued by a trusted certificate authority. If there is a SSL certificate name mismatch error. If you are behind Corporate firewall and you are trying to use a htpps:// websites. If the page contains both secure and non secure items. If there is a culprit antivirus which is scanning encrypted connections. 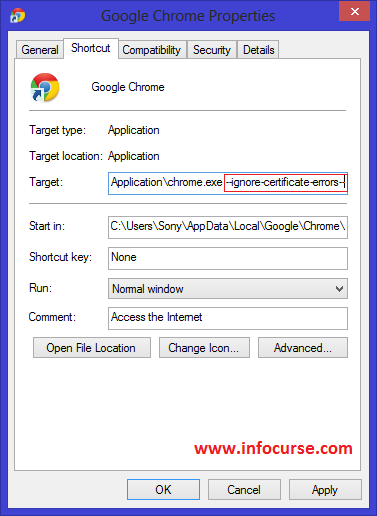 There are many solutions of how to fix SSL connection error in Google Chrome Browser depending on your system and situation. Just follow the below procedures one by one and see which one works for you. Most often SSL connection error in Google Chrome browser arises due to mismatch date and time. It is because when you open a website (especially account websites like Gmail or Facebook), it tracks the location, date and time of your system. 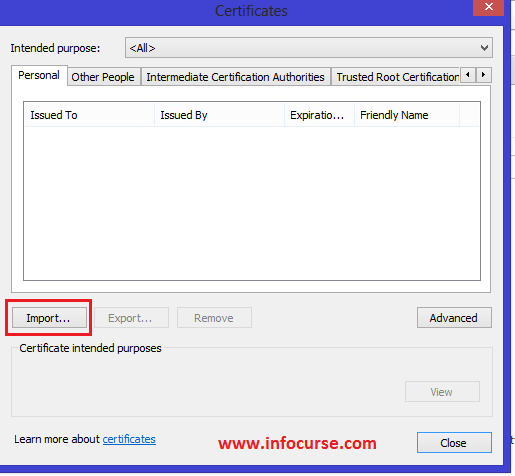 If there is a mismatch in the information, it blocks the certification from your system. So, just correct your date and time and relaunch the Google Chrome browser. Close all internet browsers. Open your antivirus control panel. In my case, it was Kaspersky antivirus. Click on “Settings”. Go to “Advanced Settings” tab and click on “Network”. Under the “Encrypted connections scan“, uncheck the “Scan encrypted settings”. Now, relaunch your browser and open the desired website. Right click on the Shortcut file of Google Chrome at your desktop. Choose Properties. A new window will appear on your screen. You would see a field named “Target”. Just Tweak that i.e modify it. Add the below code in front as show in the below image. Click on OK and save it. Now, open the browser and and the desired website. If this solution does not help you then follow the below solution. If you are opening htttp://www.gmail.com then change it to https://www.gmail.com and then open it. If you are opening img src=”http://www.domain.com/image.gif“, replace it with img src=”//www.domain.com/image.gif”. Open Google Chrome. 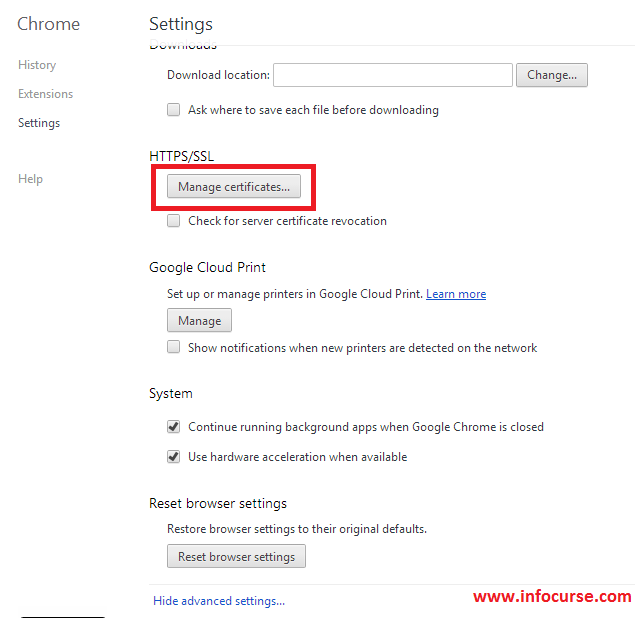 Press “Customize and control Google Chrome” option. A new window of Google Chrome settings will open. Scroll down and click on “Show advanced settings”. Now, scroll down. 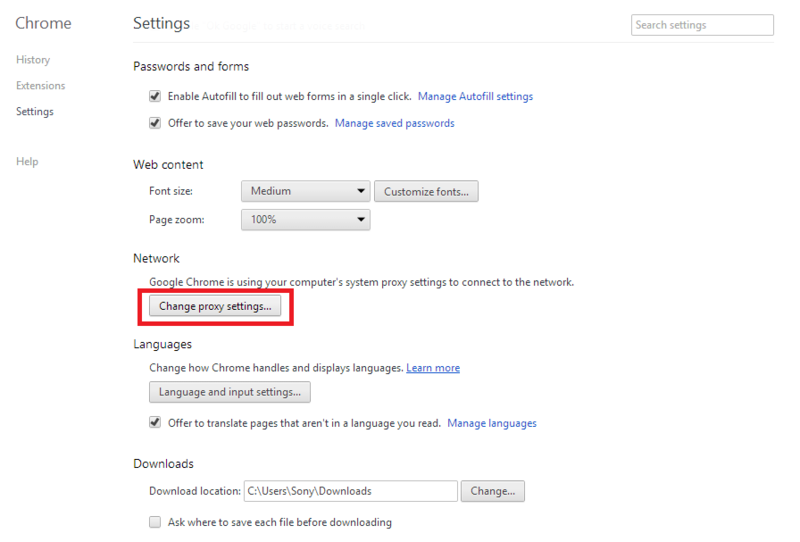 You will see a tab of “Change Proxy Settings” under Network. Click on it. A new window of Internet Properties will open in your screen. Choose “Security” tab. Set Security level zone as medium. If it is selected as before then leave it. Choose “Privacy” tab. Set Internet zone as medium. If it is selected as before then leave it. Now, choose “Content” tab. Click on “Clear SSL state” and press OK.
Now, relaunch the browser and open the desired website. Now, scroll down. You will see a tab of “Manage Certificates”. Click on it. A new window of certificates will open. Just import the desire certificate and relaunch the browser. That’s it. Now open your desired website. Previous articleDownload & install Candy Crush Saga for Nokia X, XL and X+ without root. Next articleFix/remove unknown error during application install 919 in play store.